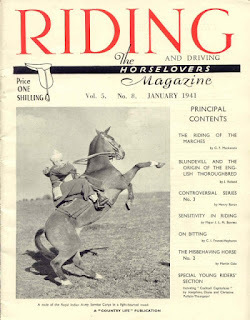 For me, there was always something so romantic and exotic about the rather brash and gauche Jean – our heroine – and her family being flown out to live in West Virginia due to her father’s job relocation, Early on Jean learns about the ‘wild horse’ – the eponymous Palomino of the title – and how whoever catches him can keep him. The severe contrast between our very British family and the laid-back Americans that are hosting them is of its time, as is some of the now extremely inappropriate references to their staff, and I feel that this book really does now have to be read as a historical piece, even though it’s only from the 1950s. It is a tried and tested formula though – pony-less, stubborn and willful girl falls in love with dazzling, unattainable pony, and will go to any lengths to acquire him – but Phantom Horse is done so well. The relationship between ‘unrideable’ grey Arabian, Adonis, and the book’s hero and heroine is another ‘pony quest’ story. Unlike Phantom Horse, where the Americans seem to out-do Jean and Angus in every aspect of life, Prince Among Ponies has more balance. The eccentric Merrimans have the picture-perfect country lifestyle, and all the ponies, but Sara and Patrick are technically the better riders. Ah, those riding school taught kids! Captain Stefinski’s anyone? There are some lovely aspects to this book: collecting mushrooms from dewy, summer fields as a guise for secret dawn rides, a pony called Christmas, and a splendid end-of-summer-holidays gymkhana to top it all off! And, honestly, who didn’t fall in love with Adonis? 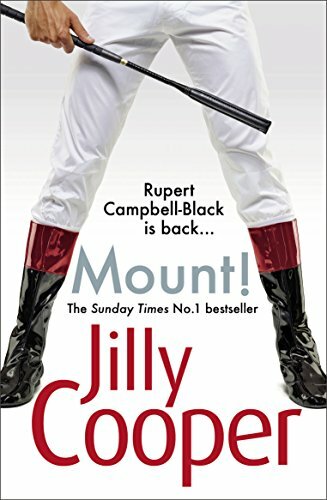 For me, Polo is Jilly Cooper’s greatest achievement as a writer. Darker than her previous two Rutshire Chronicles (Riders, and, my personal favourite, Rivals), it contains a few deeply unpleasant themes – abusive relationships, child bereavement and the consequences of enjoying the wild life in the 1960s a little bit too much – which are handled intelligently, whilst still managing to be extremely funny. 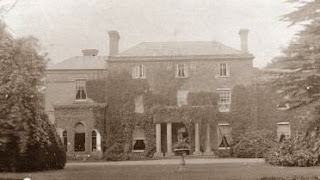 We meet the heroine of the piece, Perdita MacLeod, aged fourteen. She’s fierce, feisty and equal to any of her male counterparts, but also a real enough character to make some very human mistakes, especially when it comes to men. Not always likeable, Perdita does adore her horses, and her ultimate redemption is satisfying. A bit more comeuppance for the villains would have been welcome, but my opinion on what is unacceptable male behaviour does differ from the author’s, so hey-ho. However, there are some fabulous equine characters in this book, which whizzes through the jet set world of international polo from Windsor, via Palm Beach, to the Argentine pampas. This is simply a big, chunky comfort read at its very best. Of all the pony books in my collection, the Jill series is the one that I reread the most regularly. Jill’s life in Chatton with her friends and her ponies, Black Boy and Rapide, is The Beautiful Golden Dream. * I would choose Pony Trek, the ninth and last of the series, because it is one of the funniest. 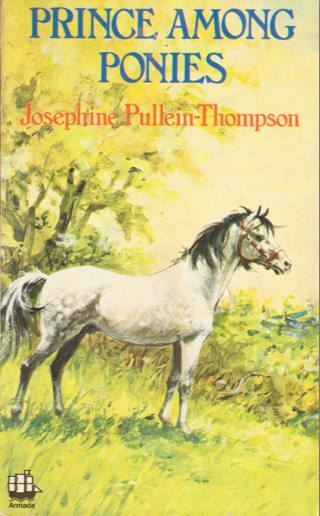 Anyone who has read this book knows that the events of The Fifth Day, where Jill and Ann get lost on the way to Stedmoor, are some of most guffaw-inducing in any pony book. All I need say here to anyone familiar with this book is: ‘wakey wa-a-a-key!’ This book also features so many favourite characters from the series – Diana Bush, Mercy Dulbottle and April Cholly-Sawcutt – and, quite simply, depicts the most perfect way to spend six days with your bezzie mates and your favourite pony. Absolute pony bliss! Probably not in many pony book readers’ top five, but I love this book. A ‘G for Georgia’ book, The Pony Clue is set in a 1950s equestrian boarding school. I loved the entire series because it brought together two of my very favourite genres – the pony book and the boarding school book – and, it has to be said, was an early inspiration for me as I now write in that exact hybrid genre. The Pony Clue is actually the sixth out of the series of ten, but has always been a top pick of mine. As usual, Georgie and her friends have to solve a mystery, this time involving a missing head mistress, an Australian flower and some forbidden caves. The answer unfolds over the course of a frost-hugged term, and against the backdrop of The Grange School, a spooky 17th century manor house. It’s simply a wintry comfort read that I can tank through in an afternoon, and I go back to it again and again. And lastly – what book would you leave behind on the dock? Couldn’t pay me to take it! I read Riders, the first of Jilly Cooper’s Rutshire Chronicles, when I was fourteen. I borrowed a hardback copy out of the library (they knew I was an advanced reader and let me check out grown-up fiction). I fell in love with Jilly’s wit, her heroines and (not knowing any better) her heroes too. It’s only in later life that I have come to appreciate how singularly unacceptable some of her characters’ behaviour is and was. Perhaps in the ‘80s she got away with it, but not now, and Mount!, her latest offering set in the world of flat racing, is pitifully out of touch with our desperate need for gender equality. I don’t like the direction that the author has taken here; the heroine of the piece is not likeable, previously strong women have become submissive, most of the men are the sort you wouldn’t touch with a jumping pole if you had any sense, and the main character, Rupert Campbell-Black seems to have had a personality transplant. Also, there are serious issues with timelines, factual consistency, over-writing and editing in general. I struggled to finish this book, and confess to skim reading it on several occasions. Ultimately, it left me feeling a bit glum. I’ll keep my copy purely for completeness of my collection, but I shan’t ever reread this book. Not even the equine characters could make this a winner. Sorry, Jilly! * The Beautiful Golden Dream is the title of the chapter on Jill in my book, Heroines on Horseback. Here are the links for all things Cressida.